Yesterday we were documenting the largest national processing and adoption facility, Palomino Valley Center, near Reno and noticed a filly was down. She was alive but down and seemed to be in distress. All the other fillies in the huge pen were eating and she was down. She tried to sit up and then went down again. We immediately called the BLM staff in the office to alert them of the situation. They said they would send someone right out to check up on her. We are still waiting for a report from BLM on her status. Check back for updates as we will keep you posted. 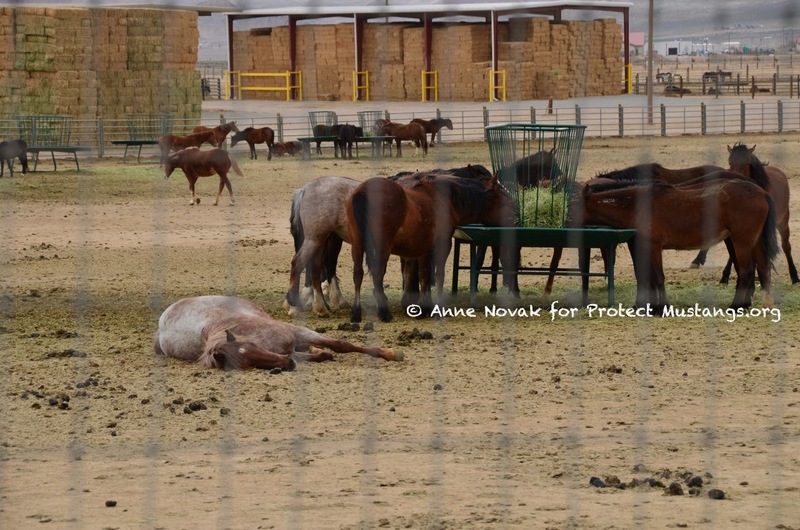 Please share widely so people can see what’s happening to our wild horses in captivity. They should never have been removed from the wild lands in the first place! We are grateful to the donors who helped pay for the expenses to get us in the field by chipping in to pay for gas, etc. We are not funded by corporations and we have no conflict of interest. We are boots on the ground and we need your help to do the work. Every dollar counts. 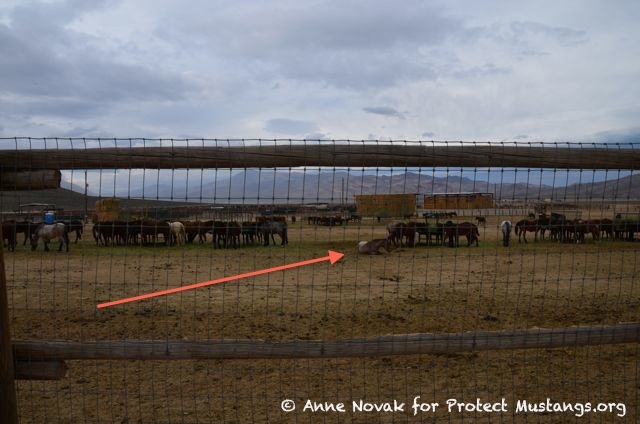 Please donate to Contact@ProtectMustangs.org for gas and field work expenses via www.PayPal.com. Thank you! We will always fight for mustangs to be Wild & Free and we will protect those in captivity!